Aspen Mountain has received less snow than usual to start the season. Dry conditons have meant fewer workers are on the job. 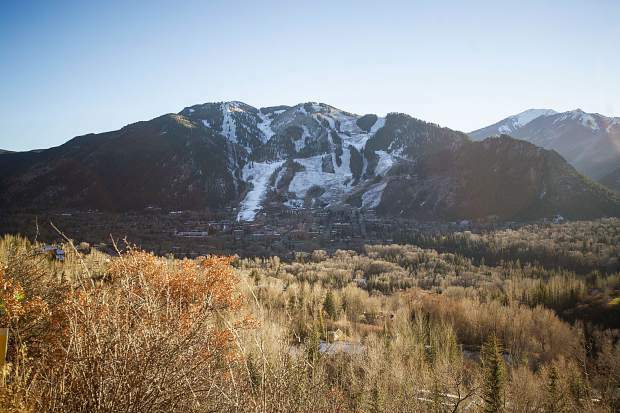 Aspen Skiing Co. plans to start feeding seasonal workers who haven’t gotten called to work yet because of the dry conditions and limited opening of terrain. Skico made the decision on Thanksgiving Day to provide dinner at Bumps restaurant Monday, Wednesday and Saturday of next week, assuming there isn’t a drastic change in the weather, according to company spokesman Jeff Hanle. “It’s intended for seasonal workers and people who would be getting hours now, like lifties,” Hanle said. Jim Laing, Skico vice president of human resources, sent a memo Thursday announcing the plan. The dinners will be provided at Bumps, the restaurant at the base of Buttermilk, from 5 to 7 p.m. each of the nights. Hanle said he didn’t know how many Skico workers haven’t been able to work because of the dry conditions. Skico has twice set a precedent for feeding seasonal workers because of delayed openings. About 40 unemployed workers were fed dinner at Bumps during the dry start to the 2007-08 ski season. Skico was able to open less than 100 acres on the top of Aspen Mountain and 50 acres on Fanny Hill at Snowmass to start that season, according a story in The Aspen Times’ archive. Former Aspen Skiing Co. President and CEO Bob Maynard also fed unemployed workers because of dry conditions one season in the early 1990s. Hanle said Skico doesn’t know how many people to expect for dinner Monday night. “I don’t think we’ll know until we do it,” he said. See Saturday’s Aspen Times for more on this story.